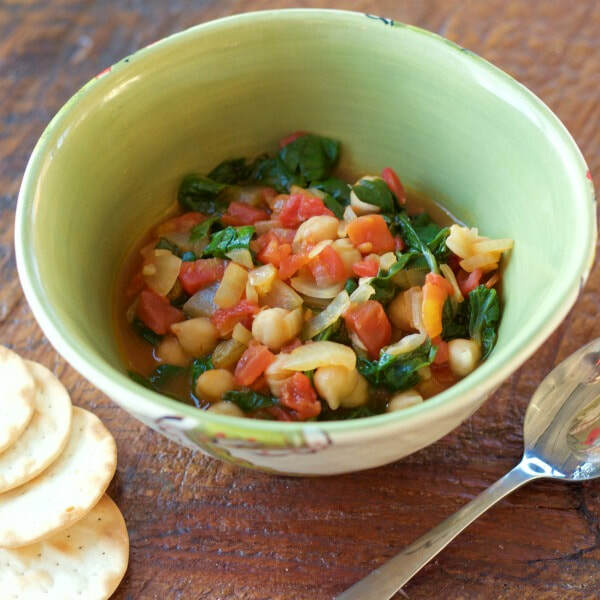 This Spanish Chickpea Stew is packed full of many different flavors from herbs and spices, spinach, tomatoes and raisins. This dish is unique and perfect for an easy dinner after a cold day. Need other simple soup ideas? Check out this post about how to build your own soup. In a large pot, heat olive oil over medium heat. Add onions and cook for 2-3 minutes until onions are translucent. Add garlic and cook for 1 minute more. Mix in paprika, cumin, and spinach and cook for 7 minutes. Add garbanzo beans, raisins, tomatoes, and vegetable broth. Bring to a boil. Reduce heat to low and simmer uncovered for 7-10minutes, or until raisins are plump. Add vinegar, salt, and pepper. Mix well. Serve hot.